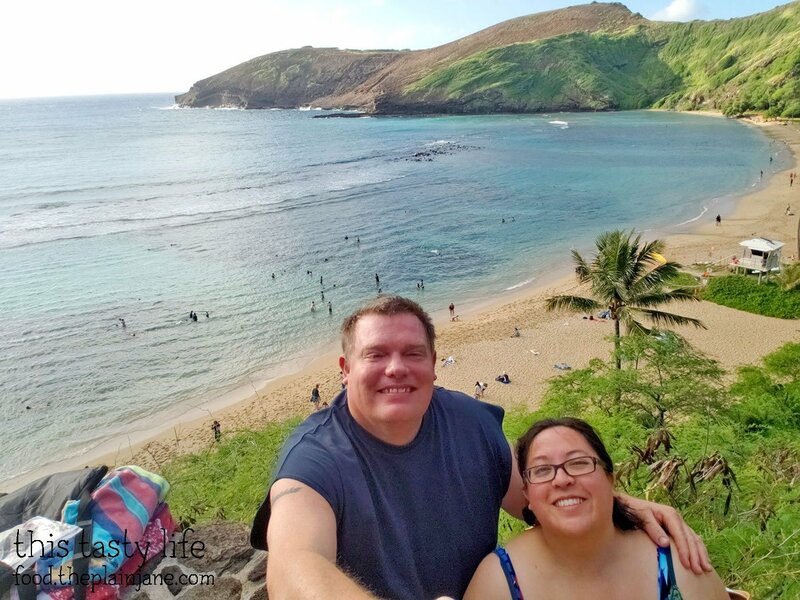 On the day of my actual birthday we headed out to Hanauma Bay just outside of Honolulu. Because the bay is a nature preserve, there is an entrance fee and you are required to watch a 15 minute video before entering the bay. We got up early to head over here and got there early enough to skip the $1 parking fee (woo). It is a beautiful bay. Look at the different shades of blue in the water! 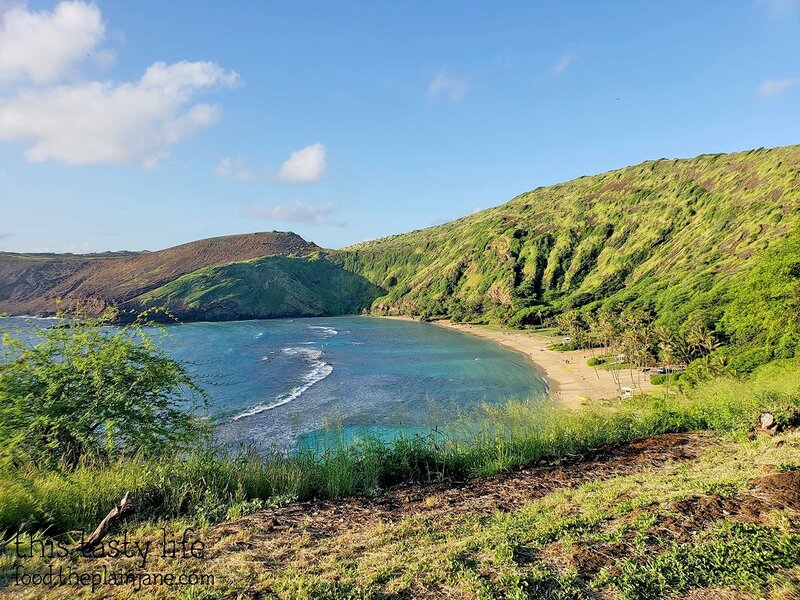 This is a popular spot for snorkeling. Not that I snorkel. The edges of the water looked pretty rocky and there is a lot of coral reef here, so I didn’t venture very far into the water. We did walk all the way to the end and back. It was a beautiful way to spend the morning. We headed back to our Airbnb to change and go to lunch at MW Restaurant. 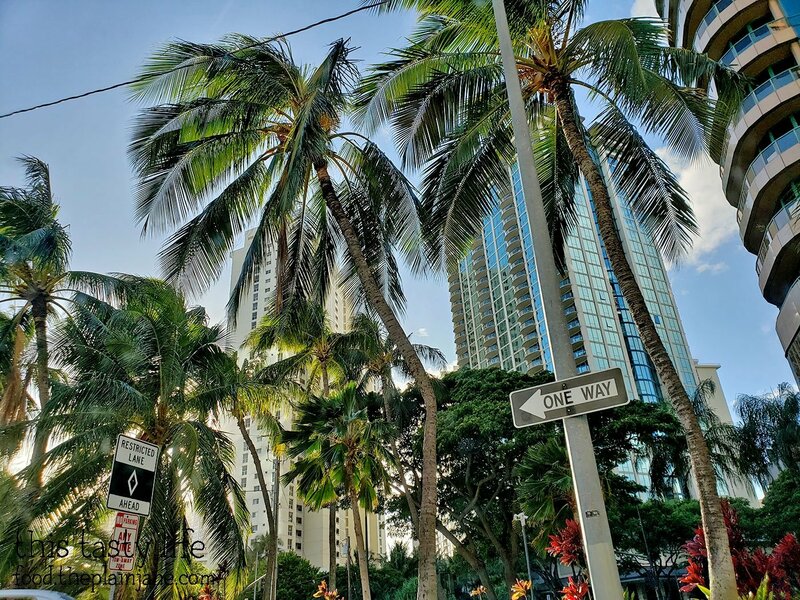 MW Restaurant is in Waikiki and right next to the Ala Moana Mall. There is a small parking lot here and parking was free. Our reservations were for 11AM so we beat the crowd (the lot was full when we left). We were greeted by a very friendly hostess who correctly guessed it was my birthday AND correctly pronounced my last name (which is rare). 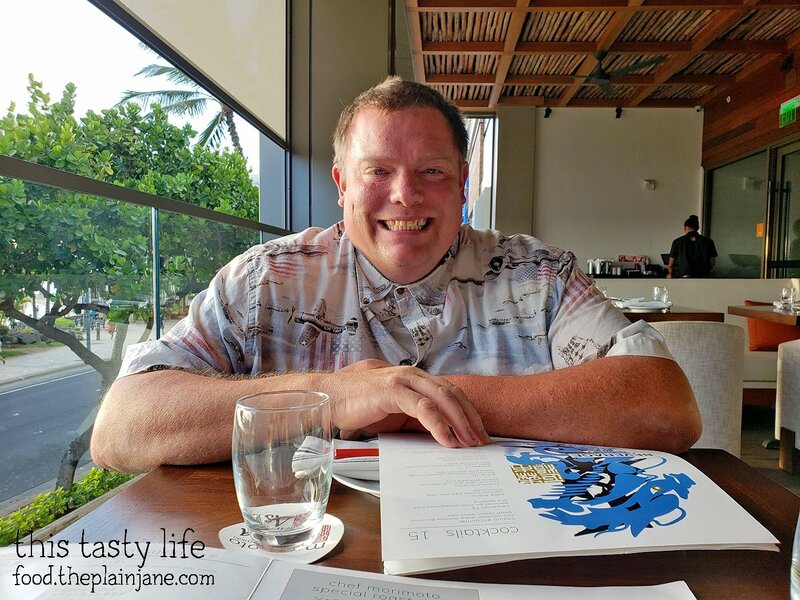 I was presented with a menu with my name on it – how sweet! 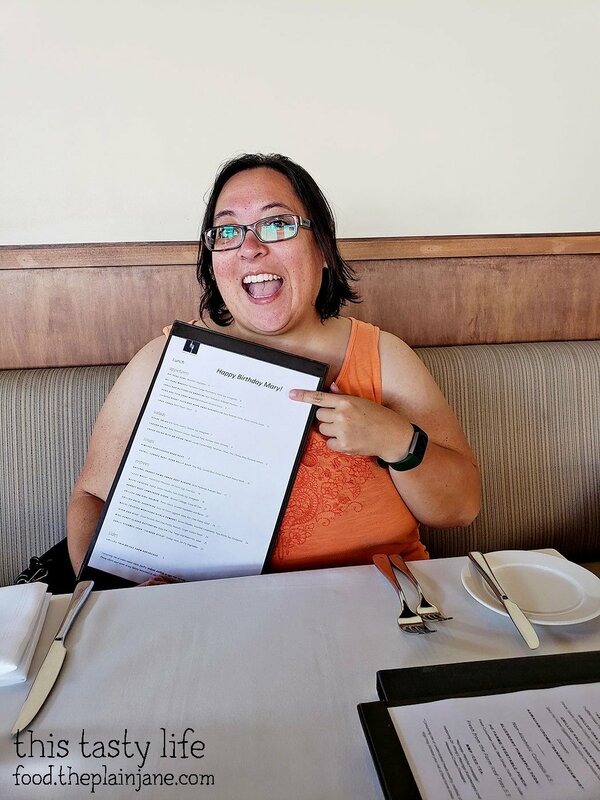 Me, looking impressed with my menu. 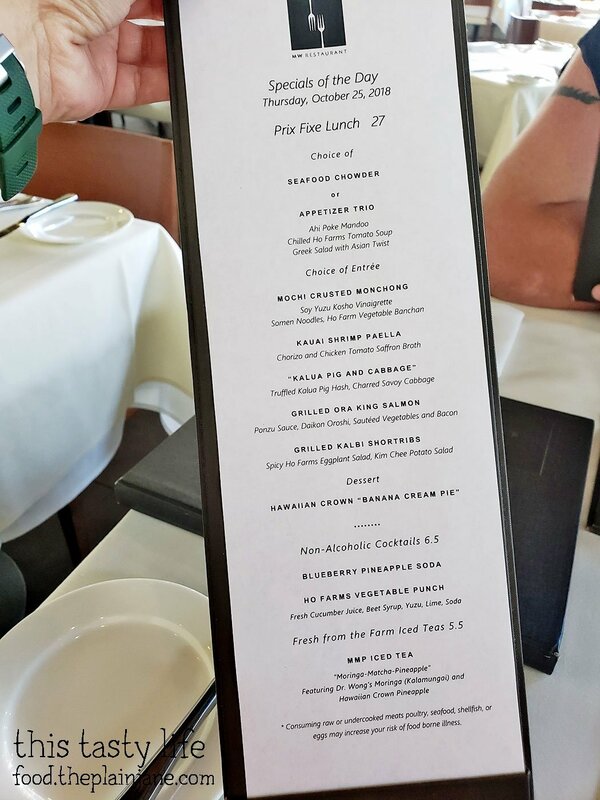 For lunch, MW Restaurant does a special $27 prix fixe menu. I opted for that while Jake got an entree. 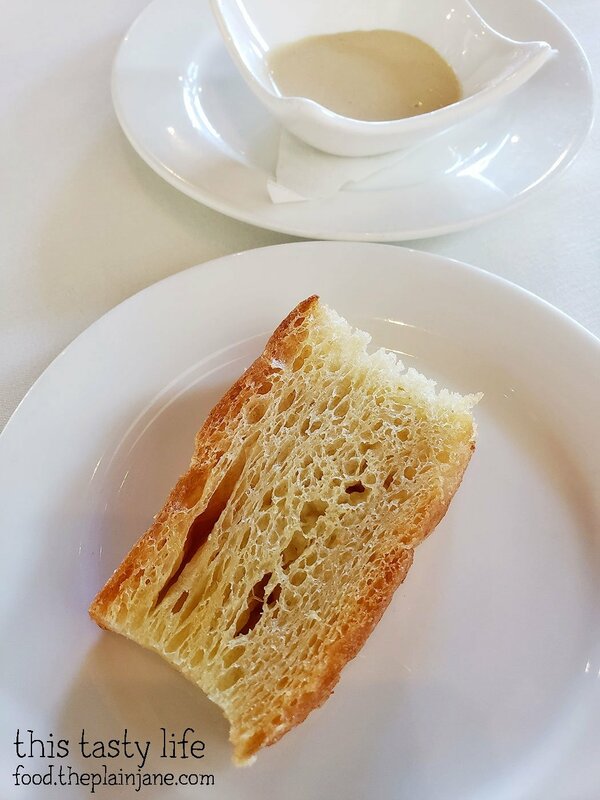 We started off with freshly made, still warm focaccia bread and a side of aioli. It was buttery and delicious! I decided to try the appetizer trio even though one of the items did not fill me with glee. That would be the Ahi Poke Mandoo. Our waiter told us the ahi is cooked so I figured I would at least try it. It tasted like eating a fishy, fried meatball. I didn’t enjoy it. Our waiter said he had not heard it described like that before. Ha. 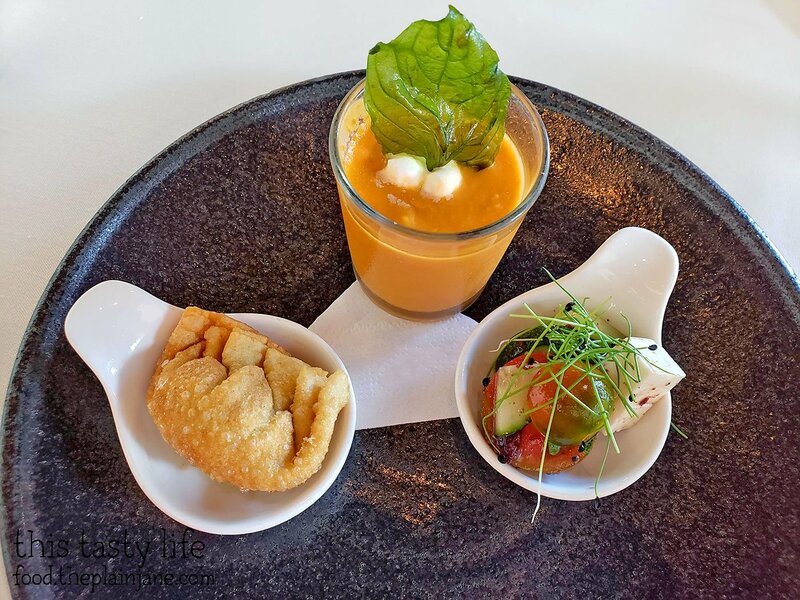 One of the other mini appetizers was a chilled tomato soup which was really creamy and I liked the crispy basil leaf garnish (which I ate). The last cute little appetizer was a greek salad with an “asian twist”. It had tomatoes, cucumber, cheese, and… I don’t remember what the asian twist was anymore, but it was yummy and I liked it. 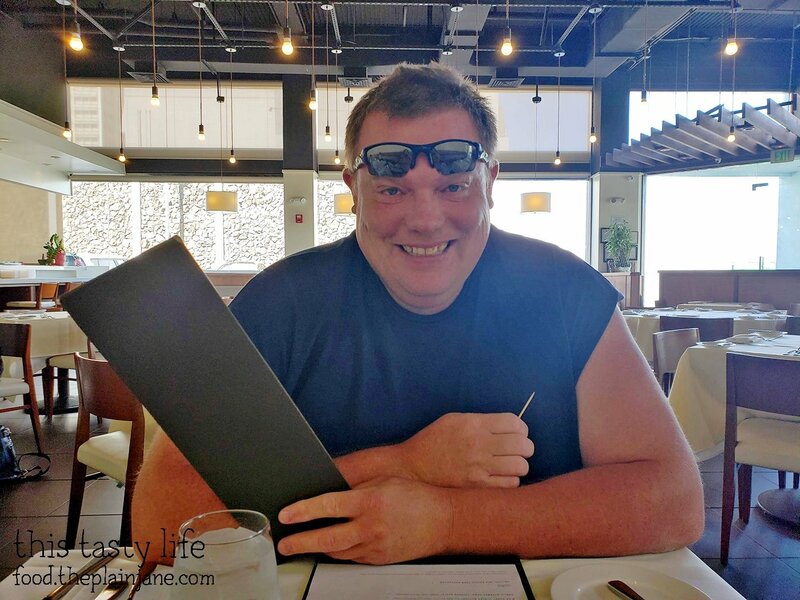 For my entree, I really wanted to try something different and asked the waiter for a recommendation and he said I should try the Monchong, which is a local Hawaiian fish. 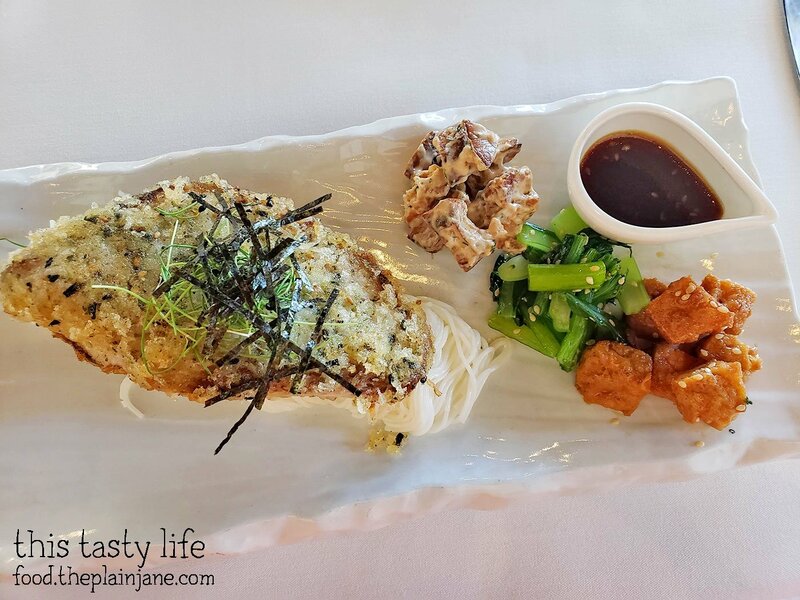 It was mochi crusted and crispy, topped with a little seaweed garnish, and sat on top of a bed of somen noodles. It came with a few sides of banchan (tofu, veggies, and another item) and had a side of soy yuzu kosho vinaigrette. I sampled the fish sans sauce and it tasted a bit, well, fishy-ish to me. Once I put the sauce on top, it tasted much much better. The sauce made all the difference here and with the noodles, it was kind of like having a fish noodle bowl. 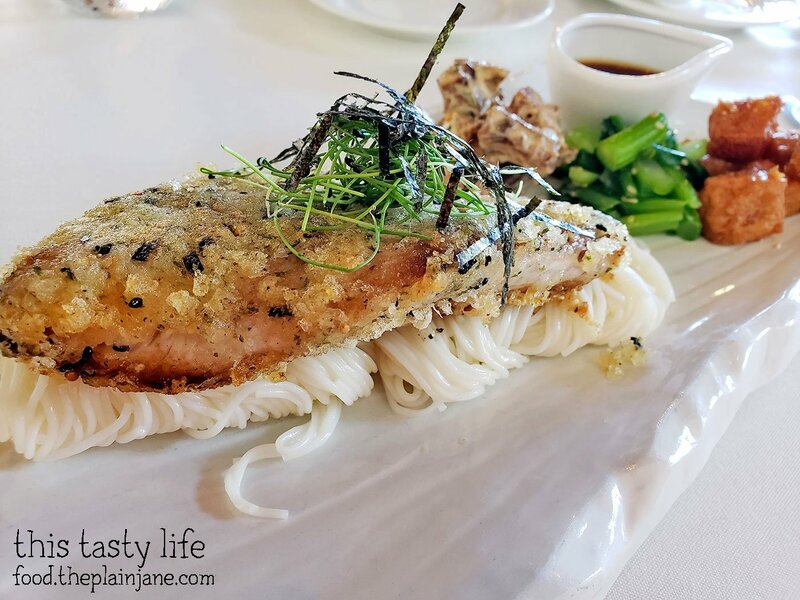 It honestly wasn’t my favorite dish, but I did enjoy the crusty mochi crust on the monchong and I felt good for having been adventurous and getting something I wouldn’t normally get (and something local)! Jake opted to get the Loco Moco [$18] and it was like a super duper fancy version here at MW Restaurant. 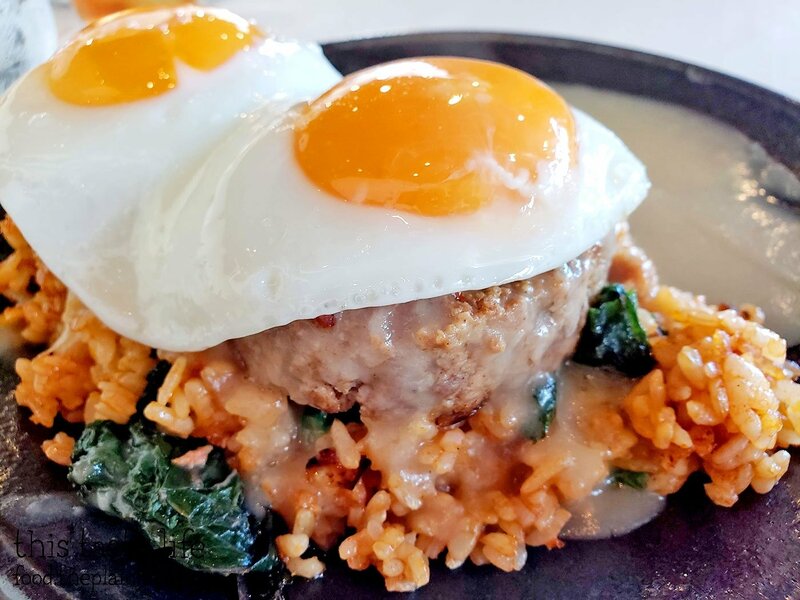 The loco moco was made with a combination of meats to create a tender “meatloaf”. It’s nothing like the more traditional kinds you find around the island which are typically made with a hamburger patty. Jake really enjoyed this version of a loco moco and loved it with the eggs and fried rice (which had a ton of veggies in it). Time for dessert! It was my birthday, after all. Dessert with every meal! 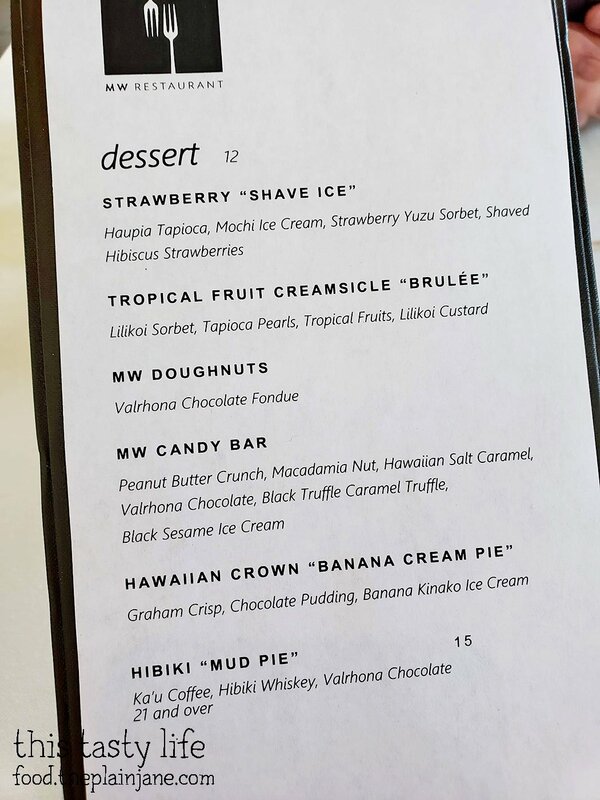 My prix fixe lunch came with Banana Cream Pie for dessert but I really really really wanted to try the MW Candy Bar. Our waiter said there would be an additional charge [$5] to swap desserts. Fine with me! And of course the most exciting part, the “candy bars” themselves. There was a crunch bottom, filled with macadamia nut crunchy layer, and Valrhona chocolate on top. 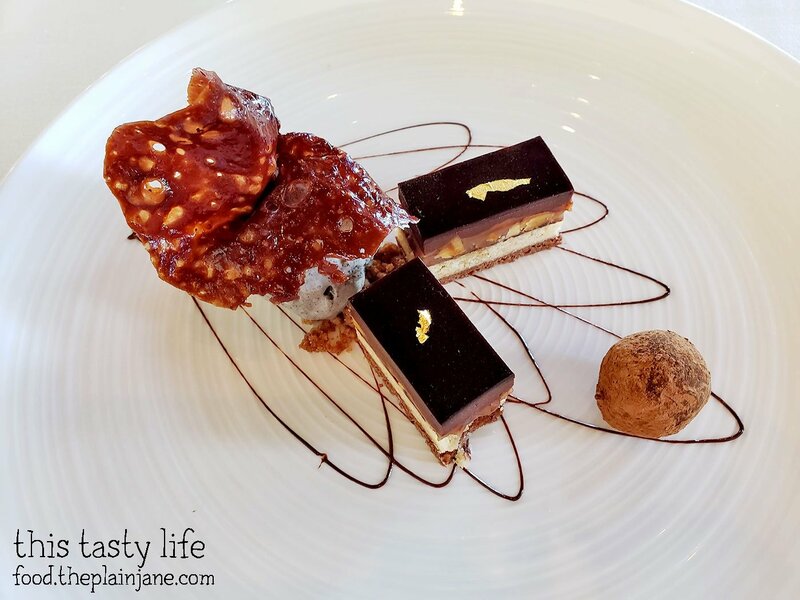 There were all of the different textures – smooth, creamy, crunchy, crispy, soft, hard – plus cold ice cream and just enough chocolate to whet your appetite. 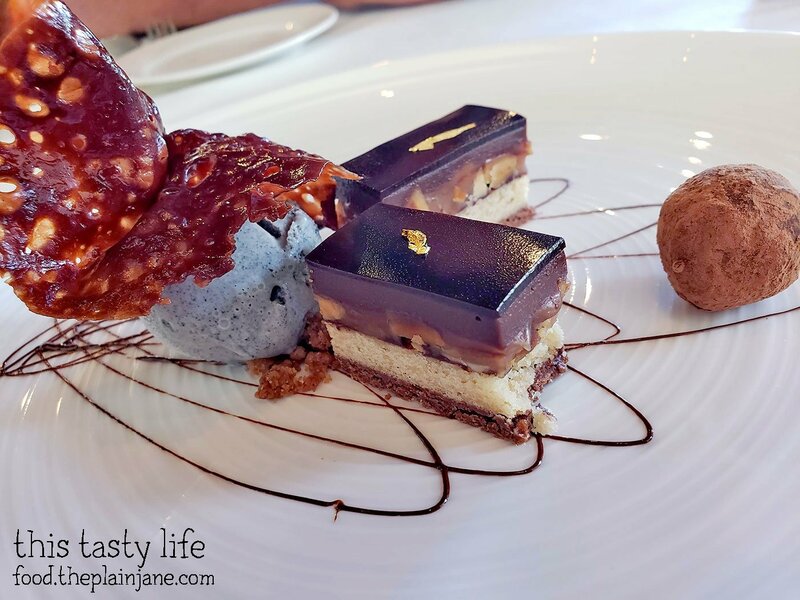 I really adored this dessert and loved every element and every bite. While I did not love my entree (it was just okay to me), I felt that dessert more than made up for it. 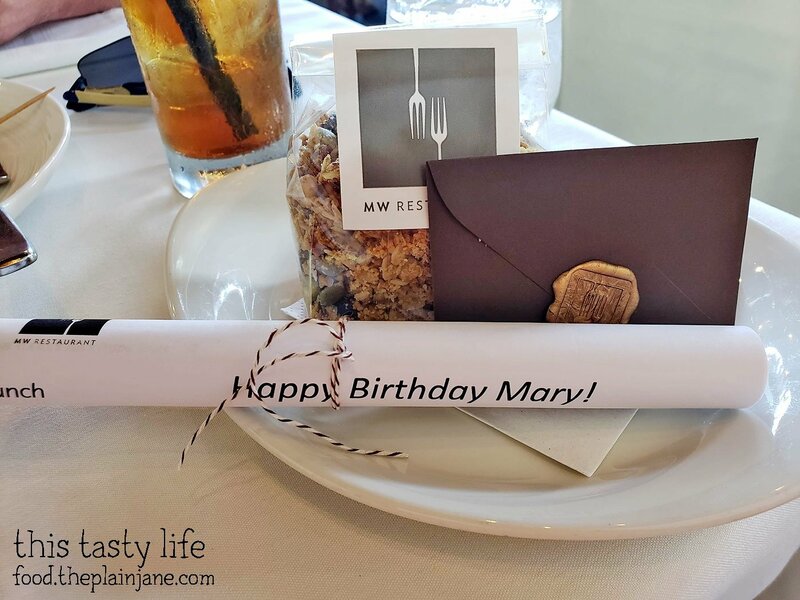 When we got the check, I also received a take home copy of the menu along with a cute card signed by a few of the staff members wishing me a happy birthday and a little bag of granola to take home. Cuteness! For dinner, Jake and I got dressed up for an evening out in Waikiki. 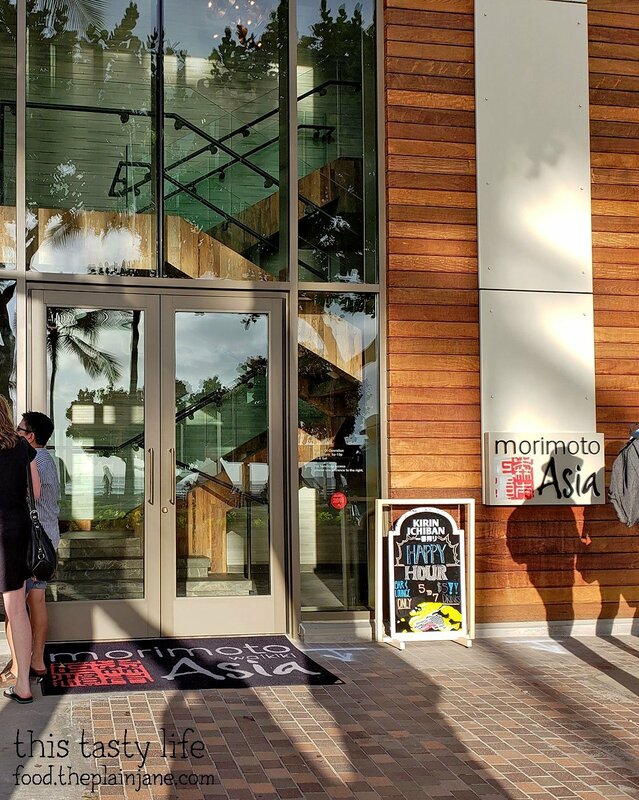 My choice for my birthday dinner with Morimoto Asia – which is Iron Chef Morimoto’s restaurant in Waikiki. 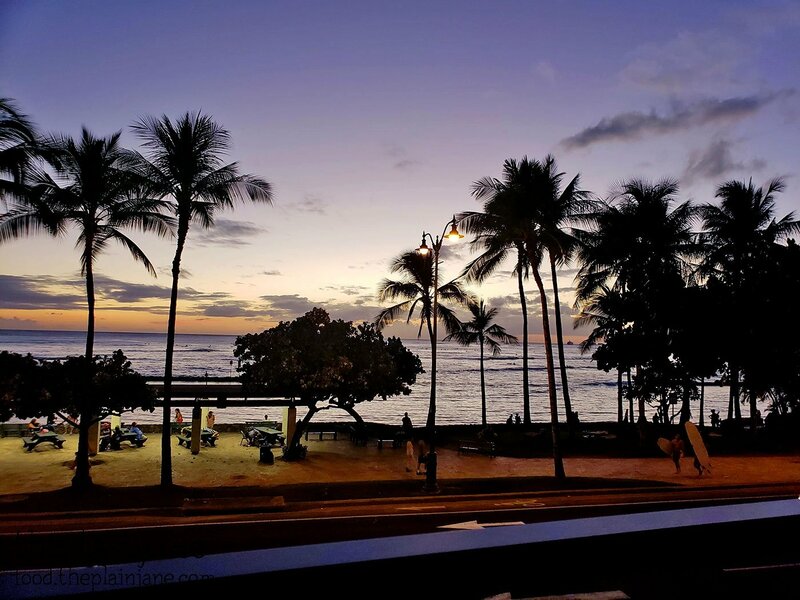 The restaurant is located at the ‘Alohilani Resort. 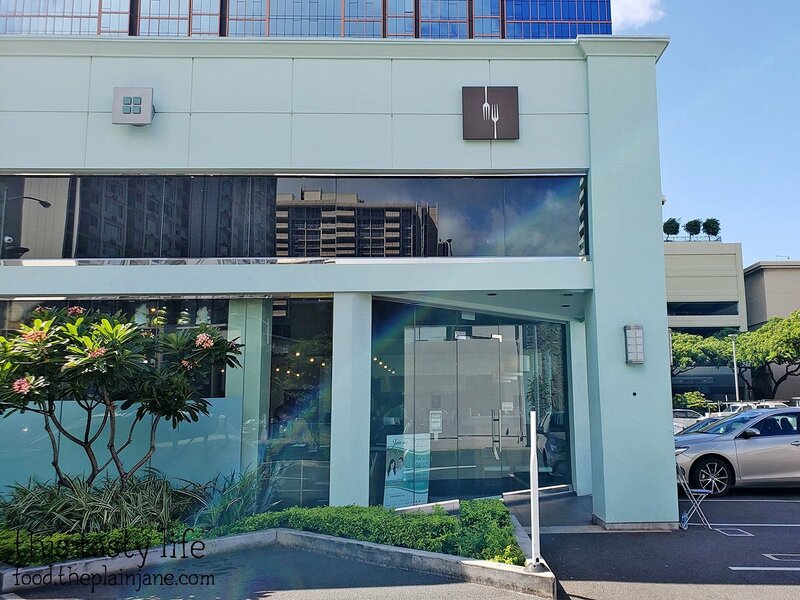 We parked in the self parking garage for the hotel and wandered until we found the restaurant, which has it’s entrance on Kalakaua Avenue. We had to walk up a flight of stairs to get to the restaurant. We had the choice of sitting inside or outside and I opted for outside. This was our view for the evening! 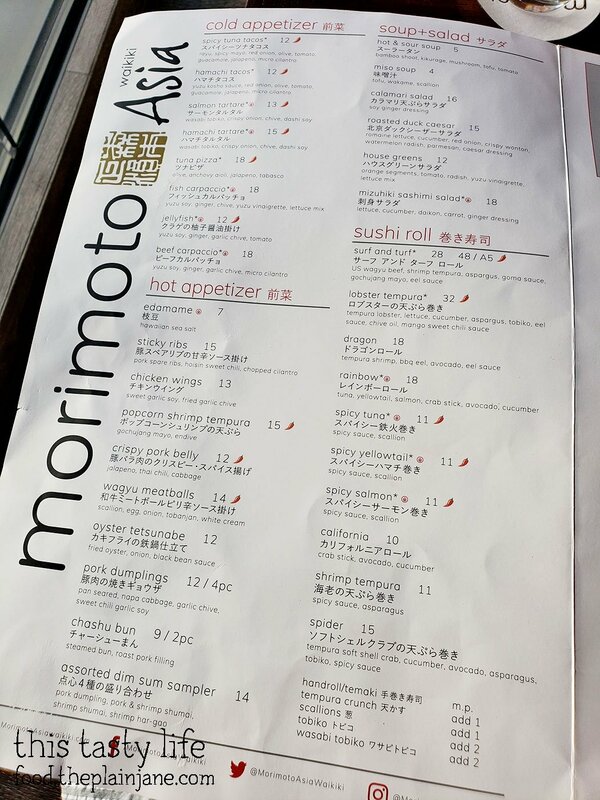 The appetizer menu at Morimoto Asia. 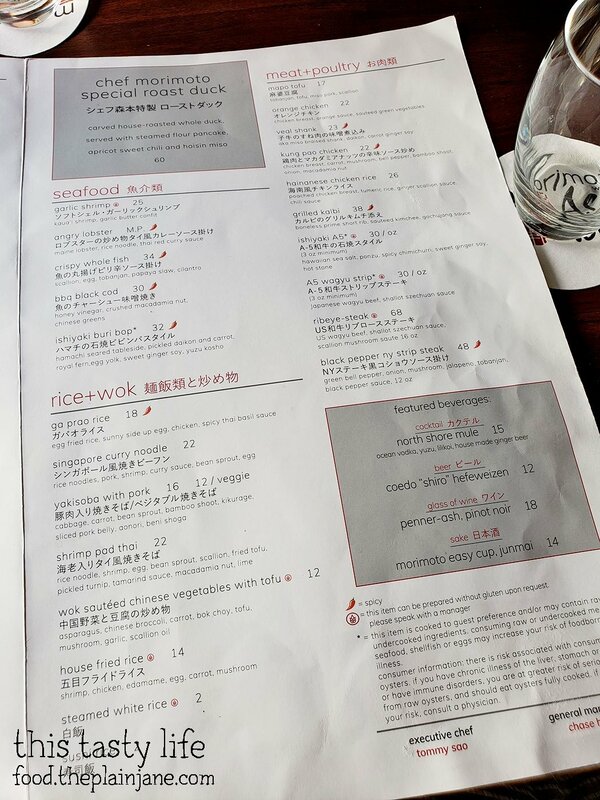 And the rest of the menu at Morimoto Asia. Stylin’ for a nice dinner out. I even wore a flower in my hair. Did you know that wearing a flower in your hair on the left or right side has a different meaning? If you wear it on the right, that means you’re single. Wear it on the left and it means you’re taken. 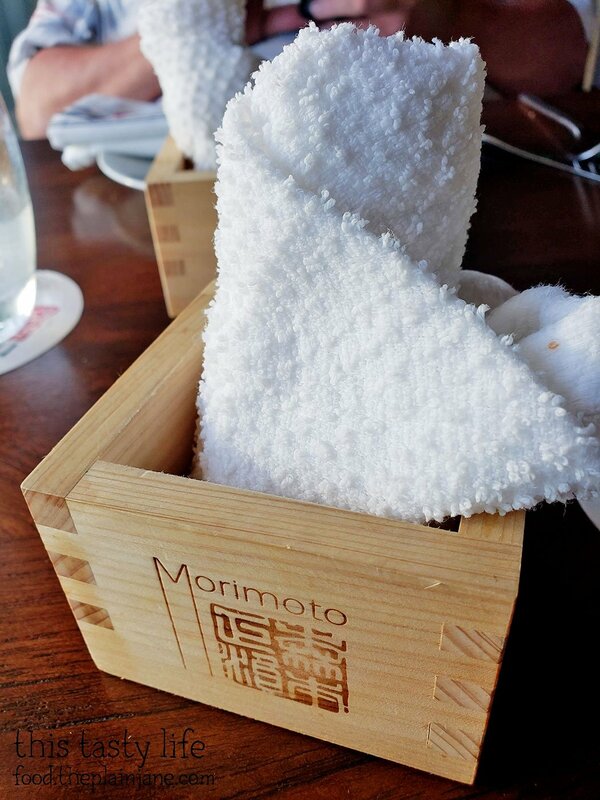 You know you’re at a fancy restaurant when they give you wet towels. I started the evening off with a P.O.G. Tai [$15]. I told everyone it was a mai tai though since that was an easier explanation. This drink came with Bacardi rum, cointreau, passion orange guava juice, and a dark rum float. The passion orange guava juice is the “P.O.G.” part of this mai tai which is usually made with pineapple juice and lime juice. 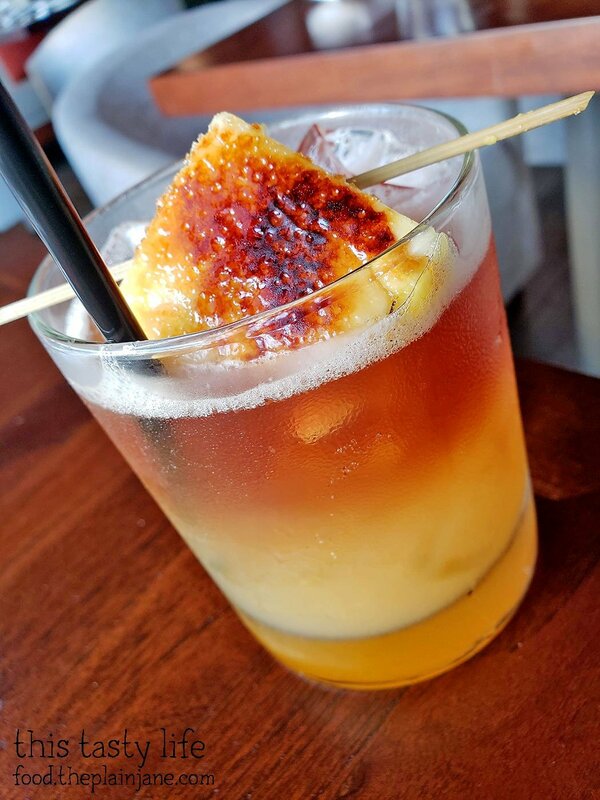 The drink was topped off with a caramelized pineapple which was torched to give it a crunchy, smoky flavor. And it was beautiful – I mean, look at the colors in this drink! 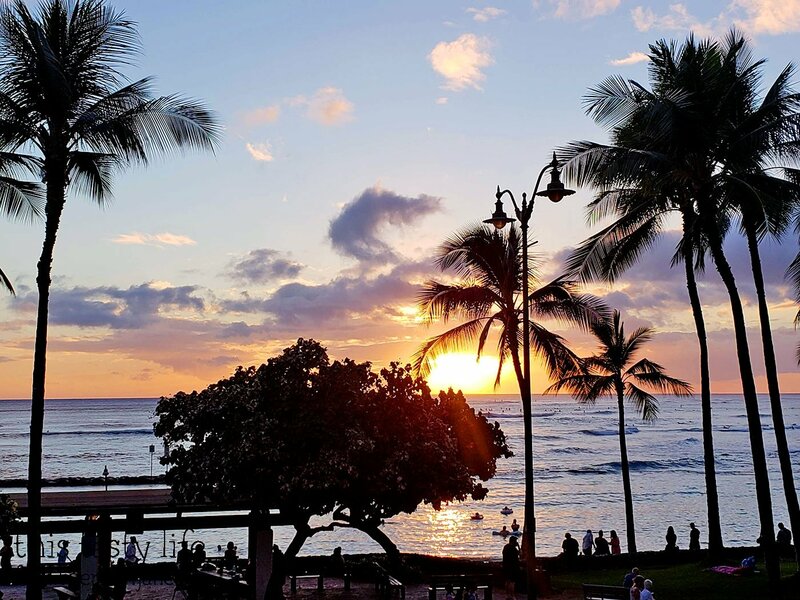 I loved it and it was my first mai tai in Hawaii. Jake and I ordered a few things to share. It was a bit hard to decide since everything sounded so good! 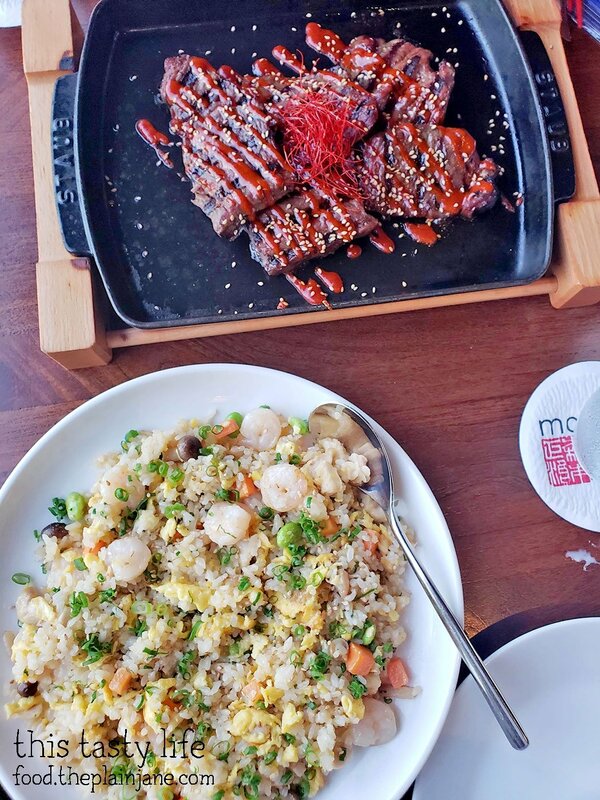 We started with the Sticky Ribs [$15]. Normally this comes with 3 ribs, but you can add additional ribs for $5 each. We opted to do that so no one would have to fight over the last rib. These pork spare ribs had a hoisin sweet chili sauce and true to it’s name, these were sticky and sweet and incredibly tender! The meat pulled off the bone and the spare ribs were full of incredible flavor. 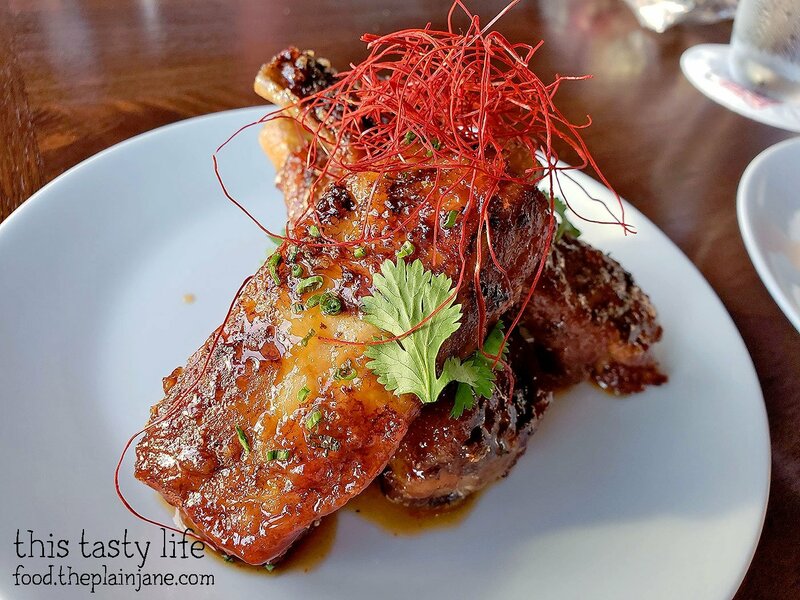 I almost thought it couldn’t get any better than the sticky ribs until we tried the Crispy Pork Belly [$12]. 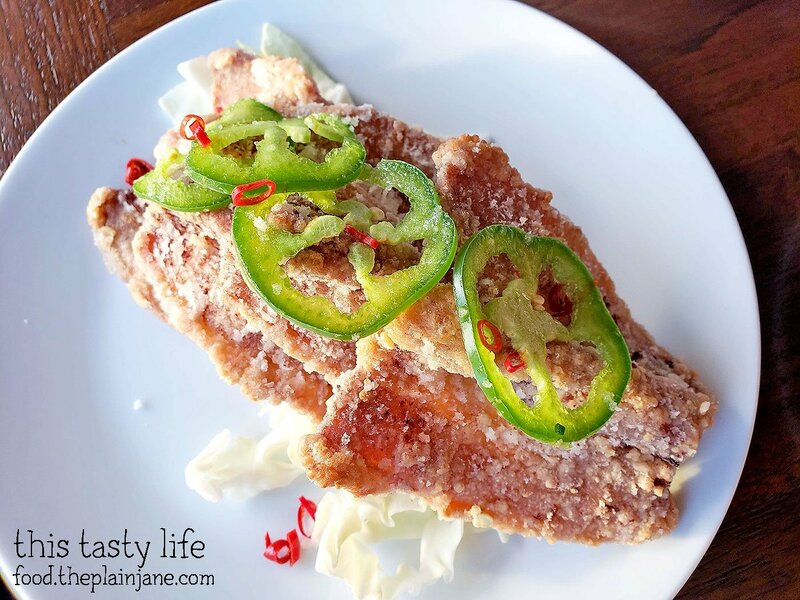 The pork belly was battered and fried in a light coating and topped with jalapeño and Thai chilies. I skipped the hot parts and went straight for the pork belly. Honestly, the slices looked weird. Like… why did you need to batter and fry it? But my doubts were soon casted away with a single bite of this pork belly that sent me straight to foodie NIRVANA. It was mouth watering and incredibly delicious. 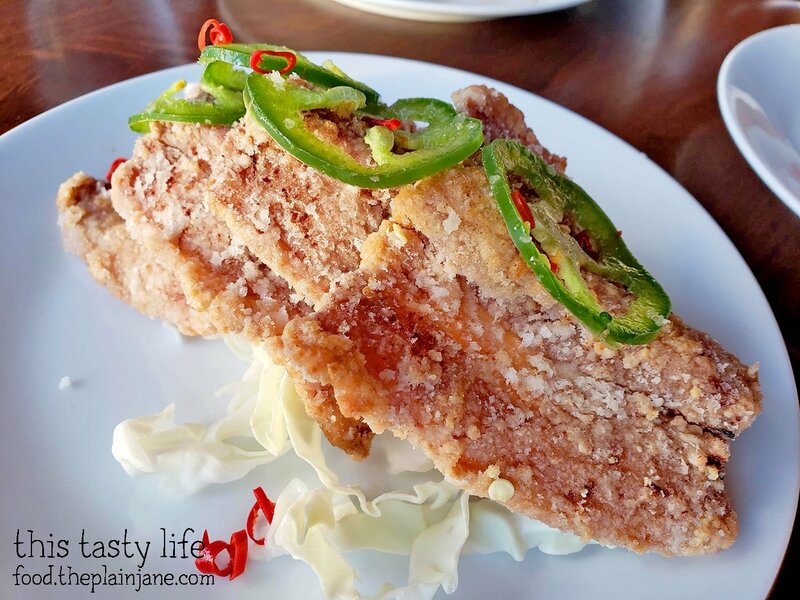 The pork belly was so tender and the batter fried treatment really elevated this dish. 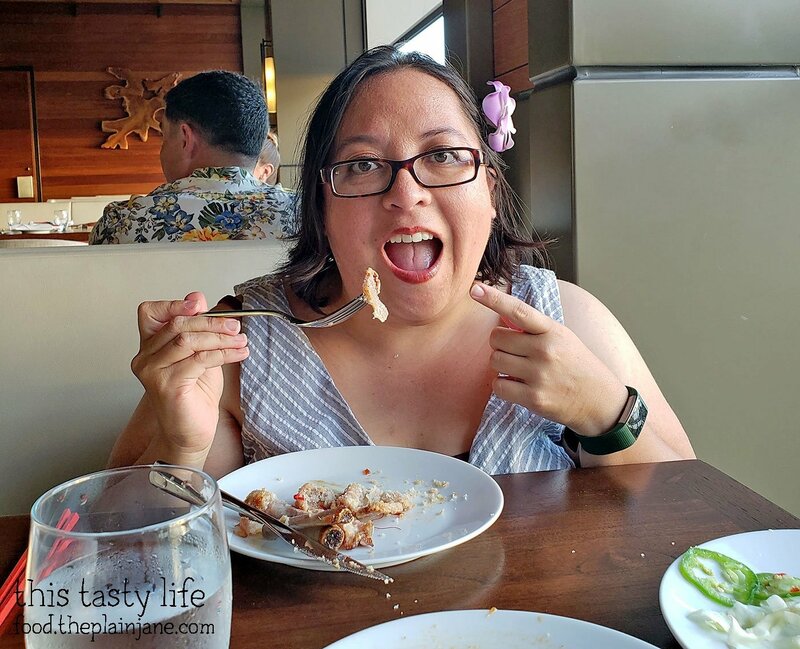 I LOVED the crunch from the batter and the frying didn’t make it too greasy – it was PERFECT and hands down one of my very favorite items during our trip to Honolulu. After I took the first bite, I did that thing where you roll your eyes, go “mmmmm”, and do a little happy dance because it’s so good. Like damn. Here’s me, excited about eating that pork belly! 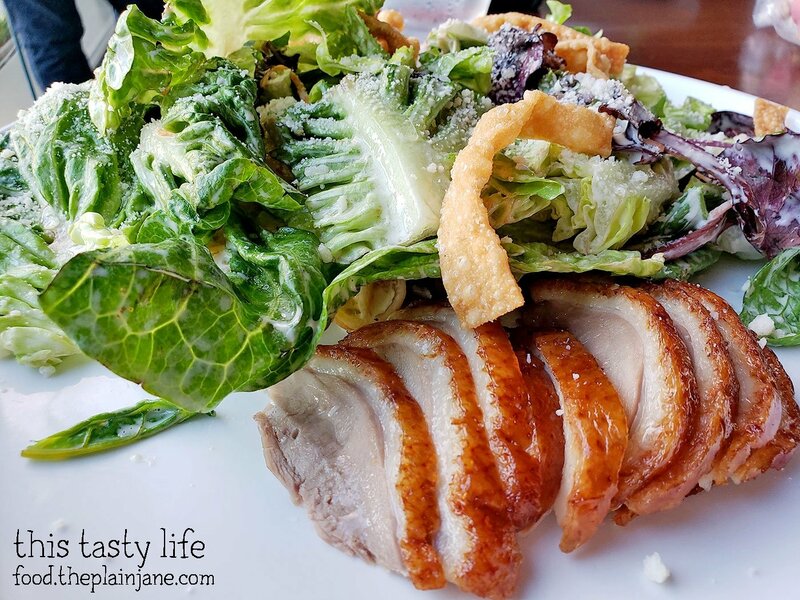 For our “second course” after the appetizers, I opted to get us the Roasted Duck Caesar [$15]. 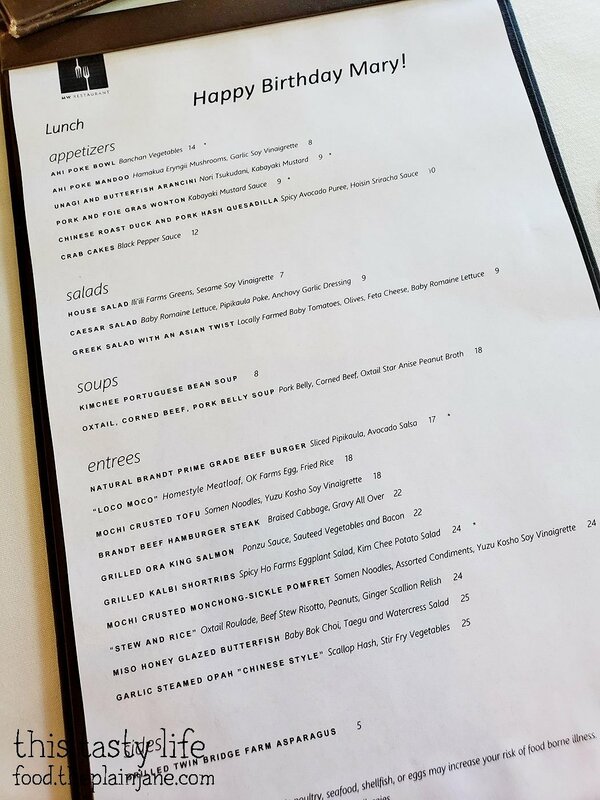 I was interested and curious to try the duck, but I sure didn’t want to commit to a whole duck since Jake wouldn’t even eat it (he’s not a fan of duck). I didn’t get a photo of it, but when they bring the Caesar salad out, they dress and mix it at the table in a Chinese take out box and then plate it for you. Instead of croutons, it comes with wontons! The Caesar salad itself was fine but I wasn’t impressed with the duck. I was hoping the skin would be crispy but it wasn’t. The pieces of duck were just okay and it wasn’t as fabulous as I was hoping it would be. To be fair though, there was no promise of crispy duck, just “roasted”. For our entree, we decided on two items. 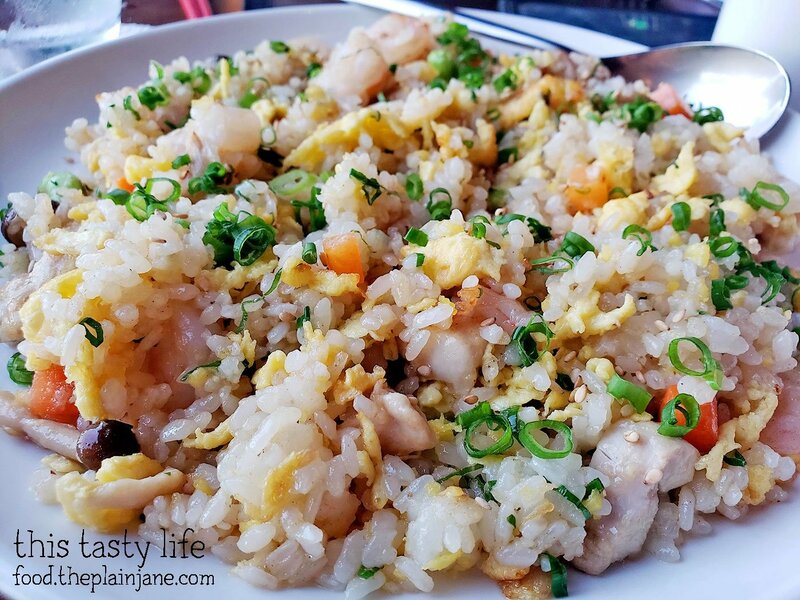 The House Fried Rice [$14] with shrimp, chicken, edamame, egg, carrot, and mushroom. And the Grilled Kalbi [$38] with no kimchee. The kalbi was quite tender and grilled nicely with a nice flavor. The fried rice was really yummy, too – I liked the mixed of veggies that was in the fried rice and it wasn’t oily or greasy at all. By the time dessert came around, the sun had set. It was blocked a bit by the marine layer but it was still pretty to watch. Right around sunset the beach was filled with people with their phones out, taking photos of the skyline. Heh. 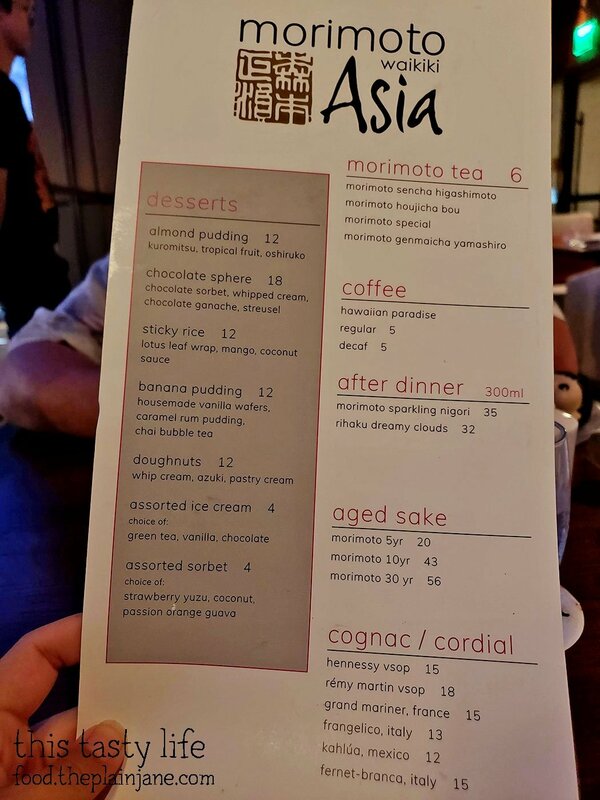 I had actually seen a video of this dessert on Instagram and the dessert was kind of why I chose Morimoto Asia for my birthday dinner. It was so cool to watch!! Our waiter started to fan the flames at the end there so make sure that it was put out. Haha. Here’s how it looked after the sphere was melted. 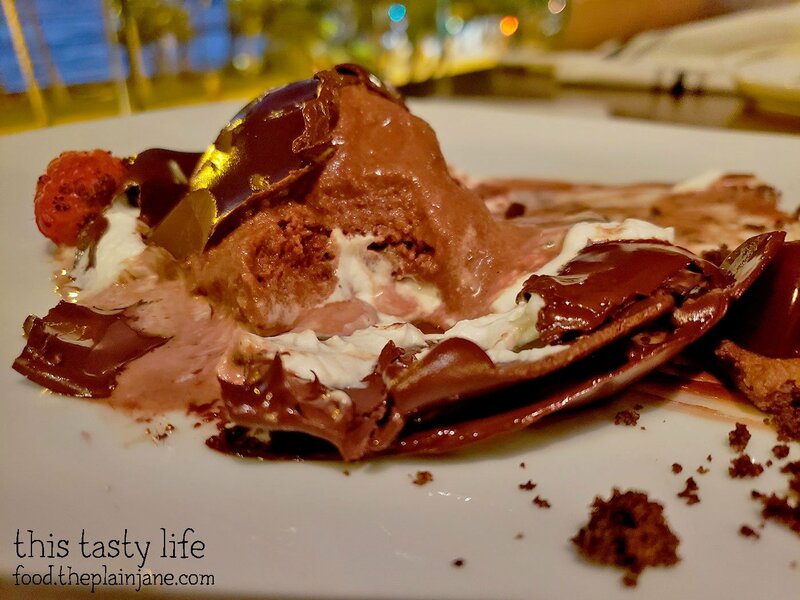 A big gloopy mess of chocolate! 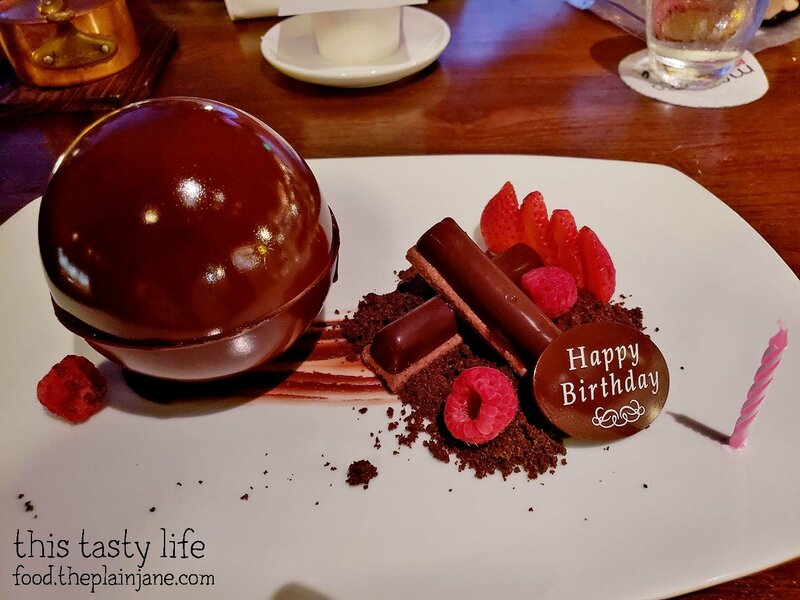 On the inside of the chocolate sphere was a chocolate sorbet with whipped cream and chocolate ganache. This is not for the faint of heart since it is quite rich and extra chocolatey. Jake didn’t love this, but I wasn’t surprised since he’s not a big chocolate fan. I loved the presentation of this dessert, but I have to say at that the dessert at MW Restaurant was better than this one since it had better variety in texture and flavor while this one is just chocolate and chocolate and more chocolate. I wished there was something salty on the plate to contrast but I still enjoyed it. 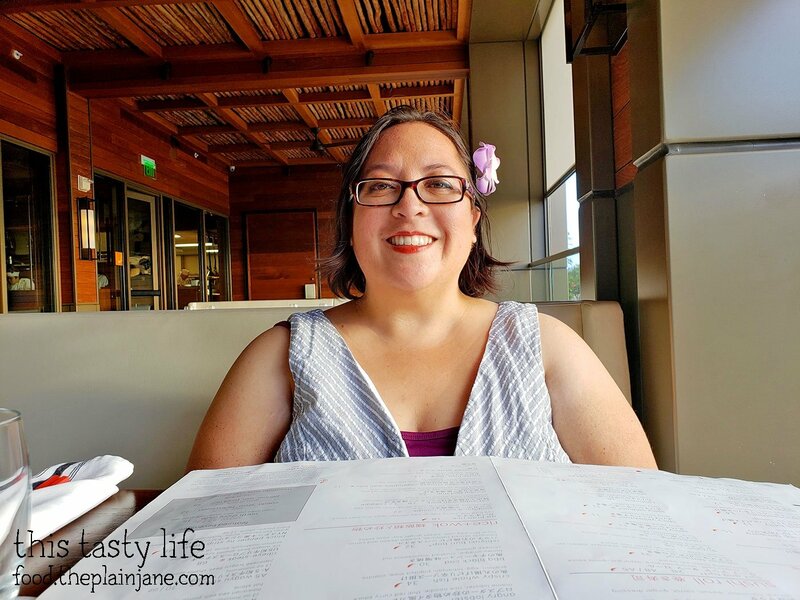 BUT… the food was better at Morimoto’s. So all in all, it was good to go to BOTH places for my birthday. I’m sure people usually just choose one special place to go for their birthday but I turned 40 and I felt like I need something extra special for the day. And this totally fit the bill! Woohoo! Awesome day, celebrating of course, an awesome gal! What a birthday!!! Nice! 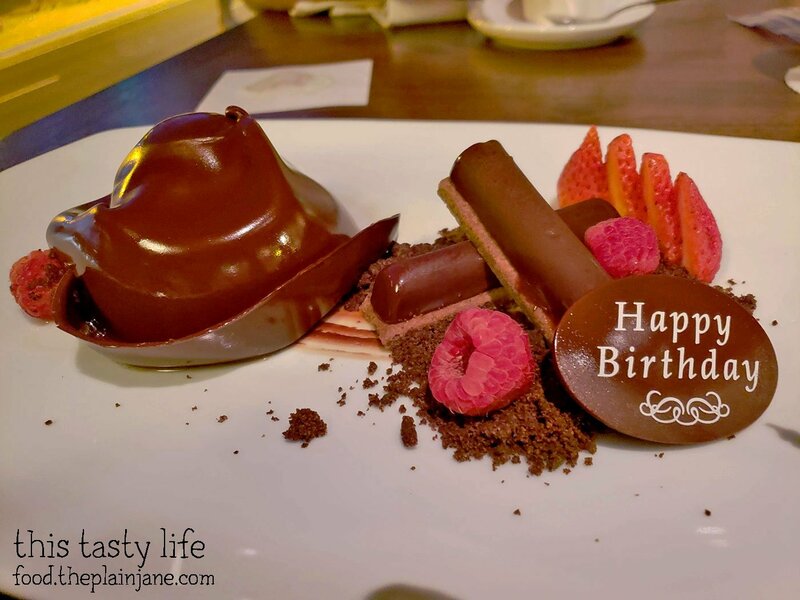 Loved seeing all of the fancy desserts that you tried; that first one looked amazing. Hi CC! Aww thank you!! It was a really great way to ring in a new decade. The fancy desserts were so much fun! Gotta live it up on birthdays!